Last weekend we went to the Queens International Night Market behind the New York Hall of Science inside Flushing Corona Park in Queens. Founder John Wang, started the International Night Market started in 2015 in the effort to create a cultural event celebrating the diversity of immigrants and small businesses. The Night Market was designed to sell dishes at a cap of $5 and what I’ve learned is that half of the proceeds were going to be donated. On July 1, there were 38 food vendors that participated in the event. The vendors came from various countries such as China, Hong Kong, Taiwan, Japan, Philippines, Colombia, Korea, Vietnam, Burma, Mexico, Malaysia and Indonesia. In addition to the diverse food options there were unique food creations such as the Twisted Potato and Twister Cake. The first time I actually visited the Night Market was when it first opened in 2015 and I went alone. I highly do not recommend going to this night market alone because the food choices are very overwhelming. What is amazing about this experience is that each food item purchase ranged between $3 and $6 and what is even better is that the portion size was shareable. In our case, we split everything. Can’t wait to return to the market again, which will hopefully be either next weekend or the following weekend. When I return I would like to try Eema’s Cuisine, Moffle Bar, Karl’s Balls, Moon Man, Malaysian Project, Arepalicious, Burmese Bites, DiLena’s Dolcini Tei Nei Ya and Jibarito Shack if they are still there. The Queens International Night Market are available every Saturday Evening from 6pm to midnight until August 19 and from September 30-October 28. It is been awhile since I posted something food related. There were several projects that were going on simultaneously in the last six months. One of these projects was serving as a committee member for my local parish’s Jubilee gala. To celebrate the successful execution of the event, the committee was treated to a four course prix fixe dinner at Villa Erasmo located in Middle Village, N.Y.
Villa Erasmo (69-61 Juniper Blvd South Middle Village, NY 11379) is a secret find Italian restaurant located past Juniper Valley Park. We went on a Tuesday night and I was 45 minutes, thanks to a broken rail at one subway stops. Anyways, the four course meal was good overall, but have had better versions of each dish. The bread was very very good. Portions of each dish were perfect where there were no leftovers. 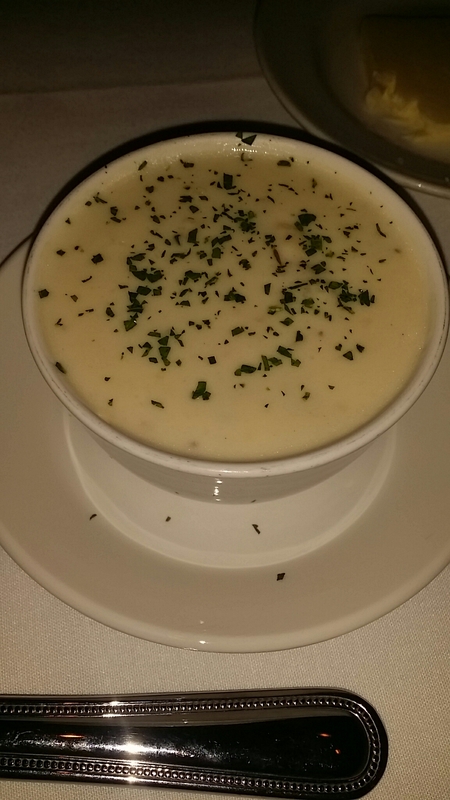 Service was overall great and very accommodating. I would personally like to return to thr restaurant and explore the rest of the menu. Appetizers: Eggplant rollatini and butternut squash agnolotti. 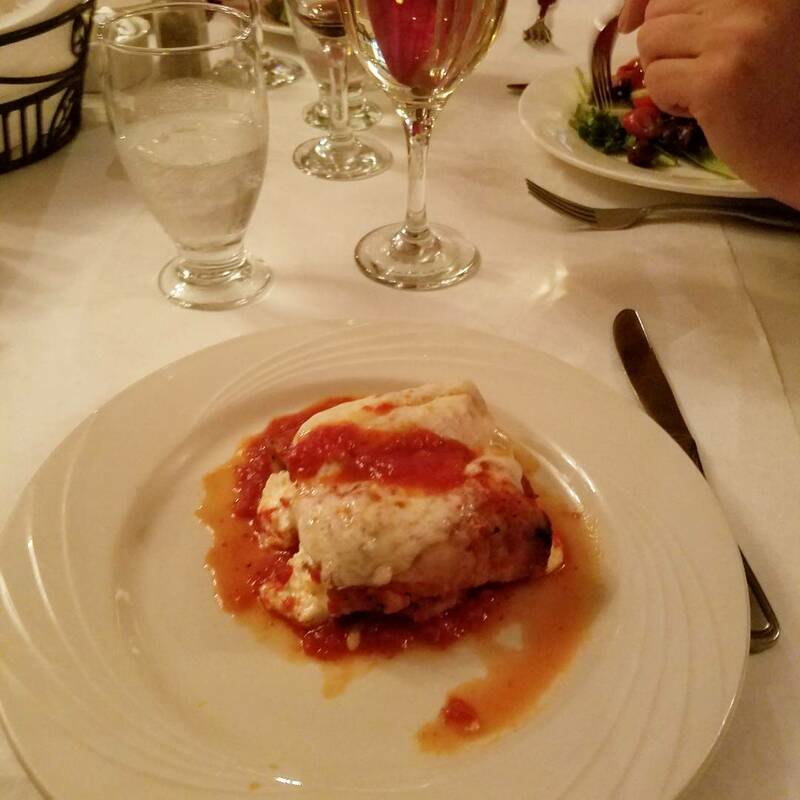 The eggplant rollatini was a good start to the dinner experience. It had a the right amount of cheese and eggplant balance. It hit the spot. Butternut squash agnolotti was something I did not expect. 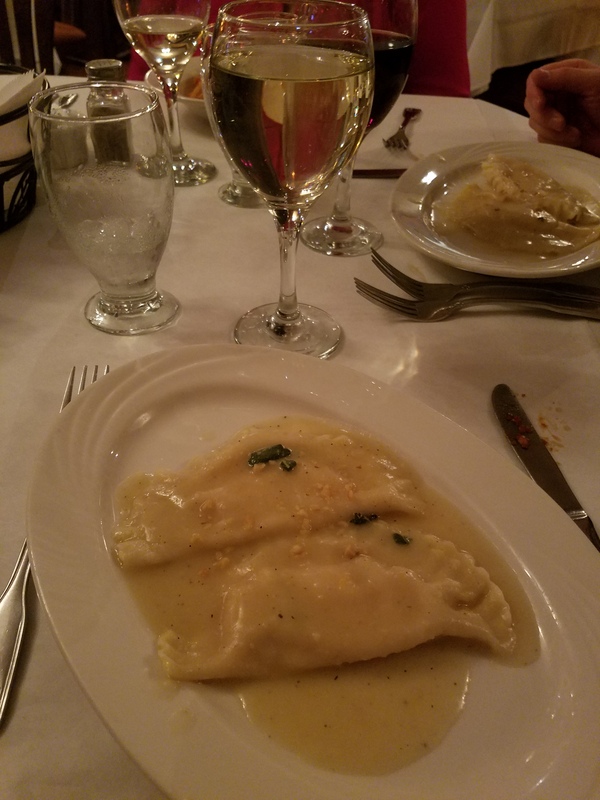 The dish looked like two ravioli, this was my least favorite dish. 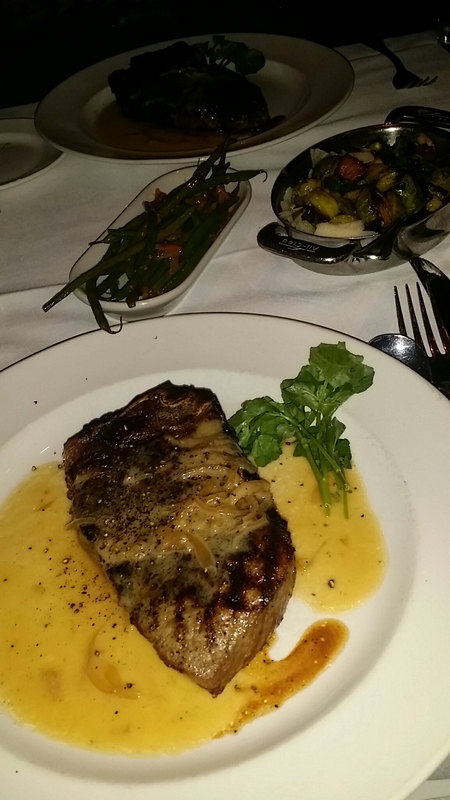 The veal entree was also unexpected but in a good and healthy way. 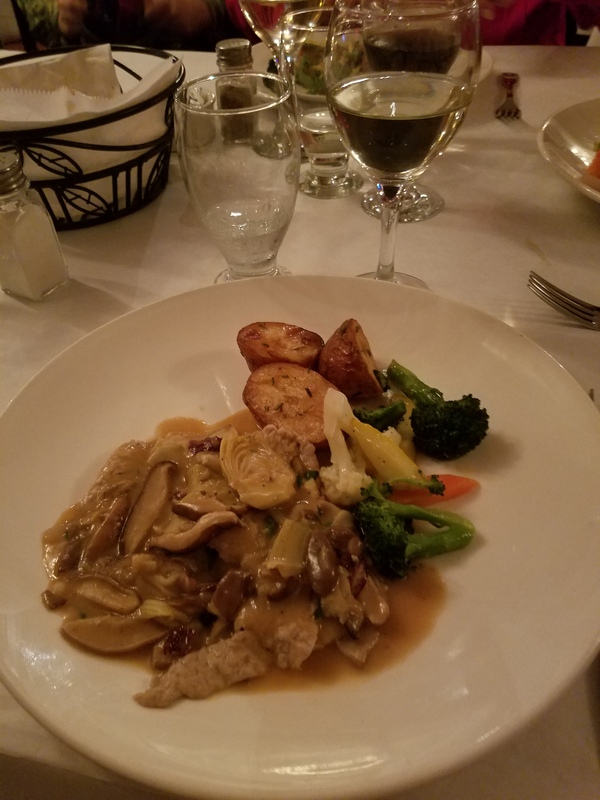 The taste of the veal, mushroom and artichoke hearts all together in sauce was well balanced especially eating it together in one bite. The dessert definitely hit the spot with a great balance of whipped cream, cocoa and rum. 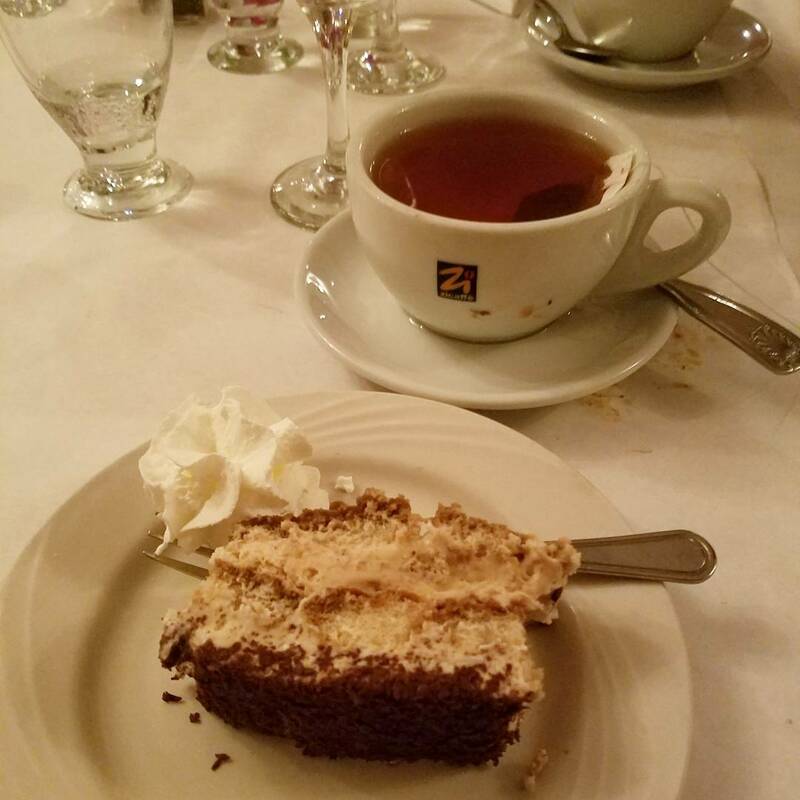 The dessert definitely went well with a cup of tea to end the night as the restaurant was closing. Stay tuned for more food adventures both at home and on the road. Happy Friday! Although it is National Dessert Day, I have been fascinated about the popular Indian street food – Dosa. When I first saw this dish, I was overwhelmed by the how big it is. It is mostly served as a meal for a good part of the day. Personally I have consumed it as an early dinner. Dosas also known as Dosai is an ancient Tamil dish. This gluten free, vegetarian street food dish is made up of rice and lentils. 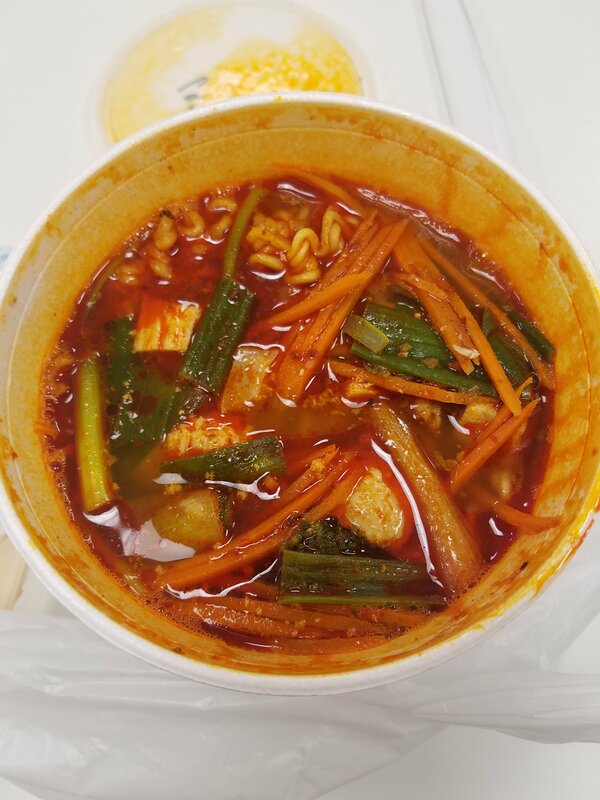 Therefore, there are health benefits in its consumption. Dosas are a good source of carbohydrates and protein that will last the whole day. It is a lengthy process to make dosas and I don’t think that I will be making one anytime soon. Therefore, I will be leaving this up to the pros. 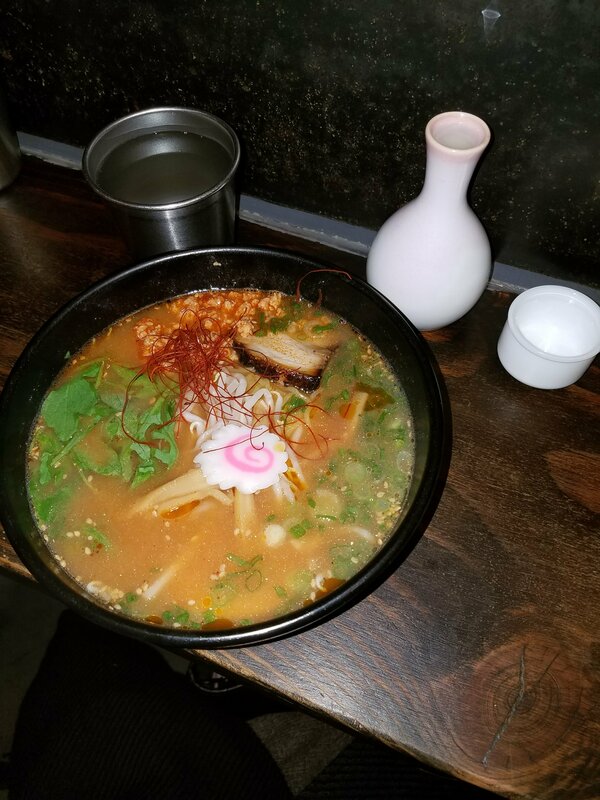 Recently, I have had the experience of consuming this vegetarian dish at two places in New York City. One famous spot world is Saravana Bhavan. There are two locations in New York City (Manhattan). This restaurant does not need an introduction because it is well known throughout India; the establishment of this franchise was made a controversial person who is banned from leaving India because he was convicted of murder. This is to show that as long the food is good it does not matter where it originated from. But if you don’t want to be traumatized, I visited another spot, which is located in Queens called Hillside Dosa Hutt. This neighborhood spot is in the heart of the Indian community. The cashier that served us was hospitable and knowledgeable about Dosas. Hillside Dosa Hutt was recently listed on the Eater list of the top 60 cheap eats places in NYC. Portions of each dosa were huge. I have not been able to finish a whole dosa in one sitting. If you want more variety then Saravan Bhavan is the place to go, but for a quick meal on a budget then Hillside Dosa Hutt will suffice. Happy Friday! 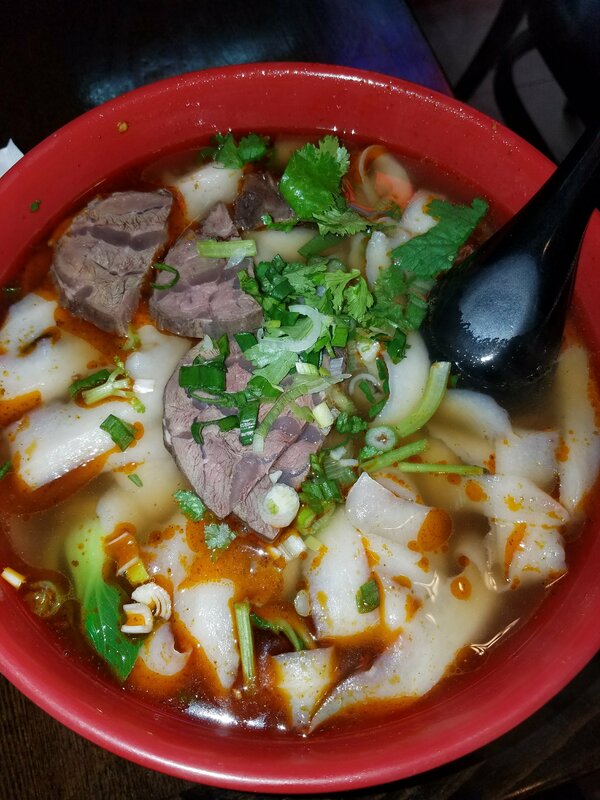 One of my family’s favorite spots to eat on a lazy night of cooking is Pho Bang, a Vietnamese restaurant in Elmhurst, NY. This restaurant also has several locations, one in Flushing and the other in Chinatown. The restaurant accepts cash only but it is a great family spot especially for quick and cheap family dinners. 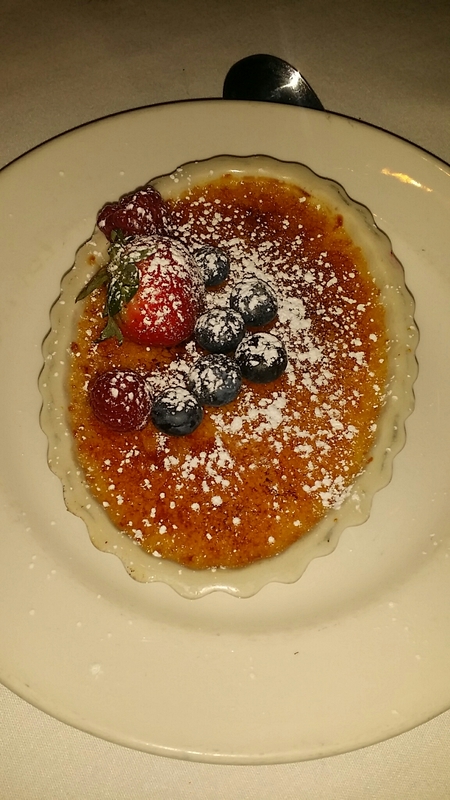 The dishes are not only cheap, but it has been recognized as one of the top restaurants in Elmhurst by Zagat. My father would end up with the bill and from my recollection of the costs the total including tax was less than $30 for three people. Even better the portions are family style! The awesome thing about this restaurant is their prep and presentation of their beef and abundance of vegetables. 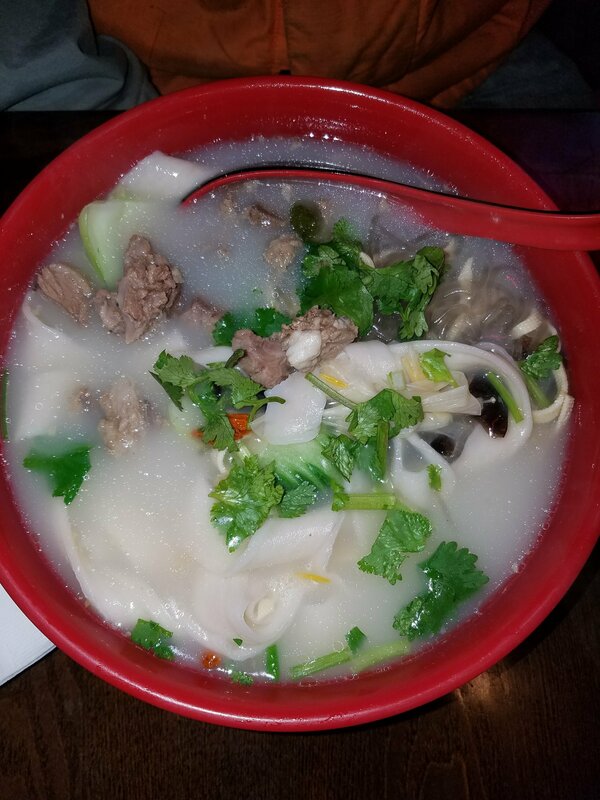 There are variety of pho to choose from, but we usually go with the Tai Chin Nam Gan Sach without the rice noodles, which is a beef soup with fresh eye round, navel, tendon and omosa. 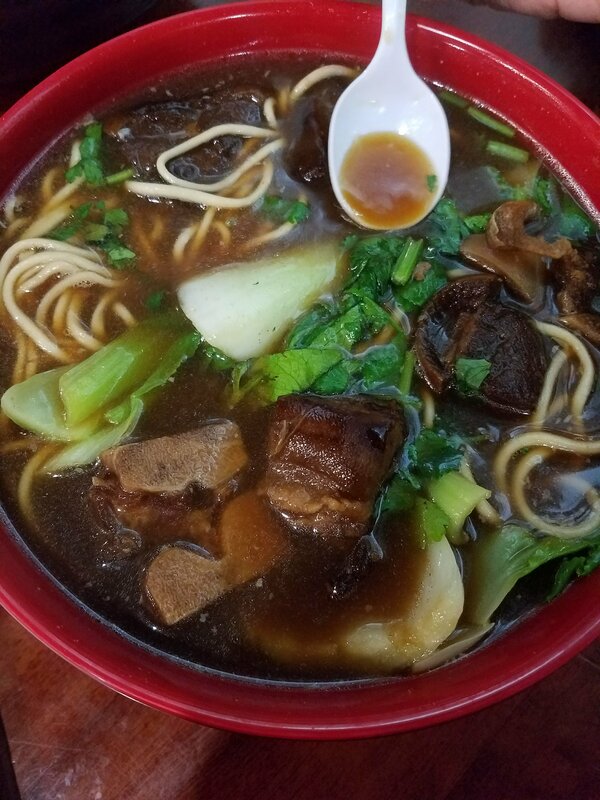 The dish comes with noodles, but we love the flavor of the beef broth plus it is carb free. 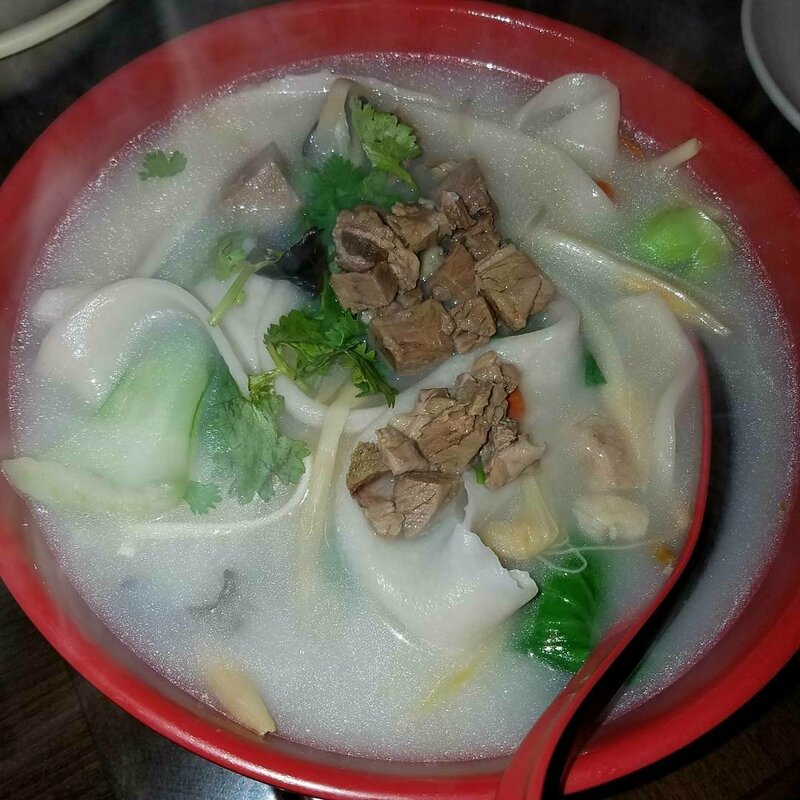 The beef just cooks in the hot broth as it is served to maintain its tenderness. 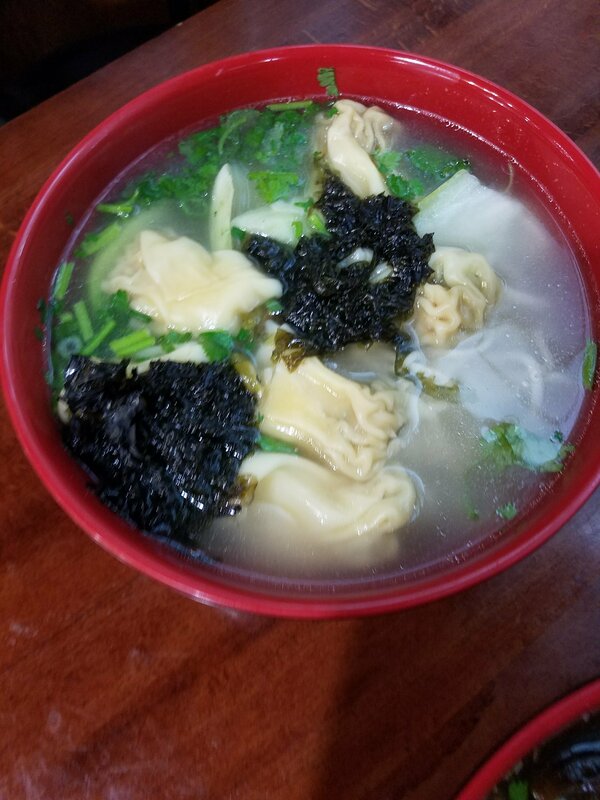 The vegetables of bean sprouts and mint with lemon enhanced the flavor of this refreshing hot soup. 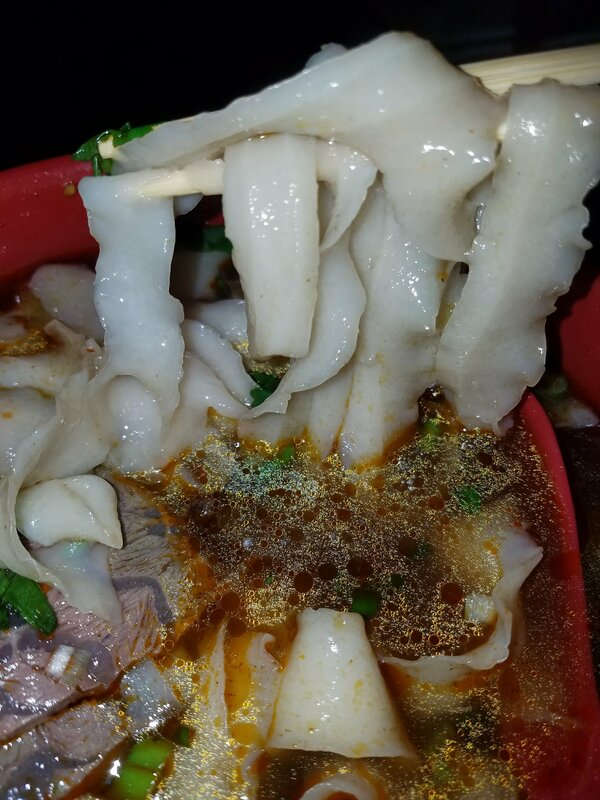 Another dish that we love to order is a specialty called Nam Nuong which grilled pork hash balls that come with picked carrots, shallot and radishes along with steamed rice wrappers and green leaf lettuce. This dish is refreshing and versatile where you can use the rice wrapper and place the ingredients in it. You can even go paleo and do without the rice wrapper and use the lettuce to make a wrap. Other dishes to try include their spring rolls which are made out of rice wrapper. Can’t go wrong with the summer roll, bun (rice vermecelli) dishes and grilled pork chops. Last month a fire broke into the restaurant. The restaurant is currently closed but it is undergoing renovations. Can’t wait to return to this restaurant once it opens again. 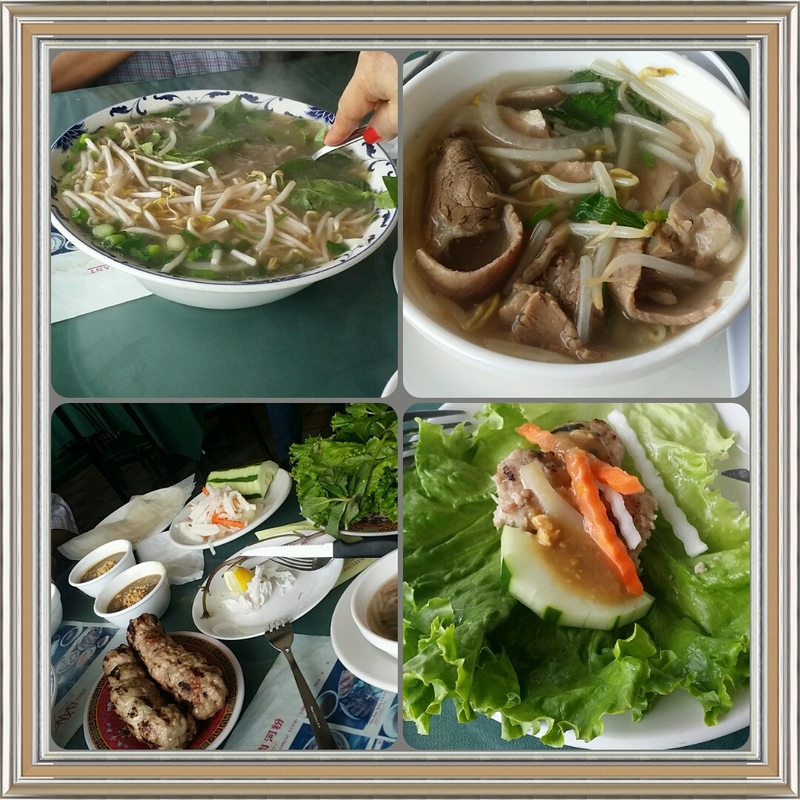 In the meantime, check out the other Pho Bang restaurants in Flushing and Chinatown. Welcome to Tablespoons and Teaspoons first blog! The popular New Year’s Resolution is to lose weight or eat healthy. This blog will display a week’s worth of posts consisting of a game plan listing items that are on sale. There will be vegetarian, traditional and healthy recipes. In addition, there will be throwback photos of restaurants and happy hour deals that are worthwhile. But more importantly key food ingredients will be dissected to discuss its benefits to alleviating disease symptoms and improving health. This is going to be an exciting year so sit back and enjoy!